The Zonta Club of Jamestown remembers Amelia Earhart Day January 11th. Why Jan 11th? January 11, 1935, Amelia Earhart became the first person, man or woman, to fly solo across the pacific. 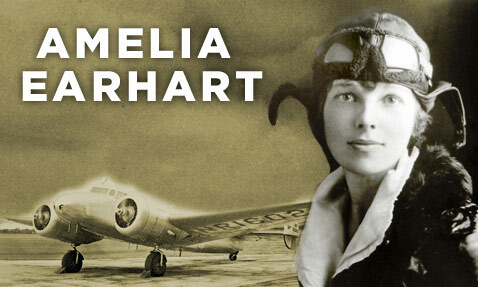 Amelia Earhart was famous for her nonstop solo flight across the Atlantic, May 20-21, 1932, the first for a woman. Zonta International sponsors an Amelia Earhart Fellowship of US$10,000 annually to 35 fellows around the globe. For more information about this fellowship award, see zonta.org and search Amelia Earhart. Despite having to attend six different high schools, she was able to graduate on time. Earhart was called “Lady Lindy” because her slim build and facial features resembled that of Charles Lindbergh. Earhart refused to don typical flying gear -she wore a suit or dress instead of the “high-bread aviation togs,” a close-fitting hat instead of a helmet, didn’t put on her goggles until she taxied to the end of the field and removed them immediately upon landing. She developed a friendship with Eleanor Roosevelt, who wanted to learn how to fly. Earhart had planned to teach her, for which the First Lady even got her student permit. She was the 16th woman to receive a pilot’s license from the FAI (License No. 6017).